إذا كنت تبحث عن فندق بموقع جيد في شيفيلد، فقد وجدت ضالتك في Kentish Hills Retreat . يمكن من هنا للضيوف الاستمتاع بسهولة الوصول إلى كل ما تقدمه هذه المدينة النابضة بالحياة. إن سهولة الوصول من الفندق إلى المعالم السياحية الشهيرة الكثيرة في المدينة كمثل ‪World Of Marbles‬, ‪The Emporium‬, ‪Tasmanian Regional Arts Kentish,The Working Art Space and Gallery‬ هو استثنائي بحد ذاته. إن Kentish Hills Retreat حريص على توفير الراحة للنزلاء، فلا يوفر الموظفون جهداً في تقديم أفضل الخدمات وضمان حسن الاستقبال. إن تسجيل وصول/خروج سريع, تخزين الأمتعة, صف السيارات, غرفة عائلية, مرافق للشواء هي جزء فقط من الخدمات التي تميز Kentish Hills Retreat عن باقي الفنادق في المدينة. تتضمن كل غرف النزلاء وسائل الراحة والتسلية المصممة خصيصاً لضمان الراحة القصوى للضيوف. يقدم الفندق مجموعة واسعة من وسائل الراحة المتنوعة، كمثل: صيد السمك, حديقة. يحظى فندق Kentish Hills Retreat بموقع ممتاز وخدمات يصعب منافستها. We stayed at the Kentish Hills Retreat for two nights and found everything here to our satisfaction. 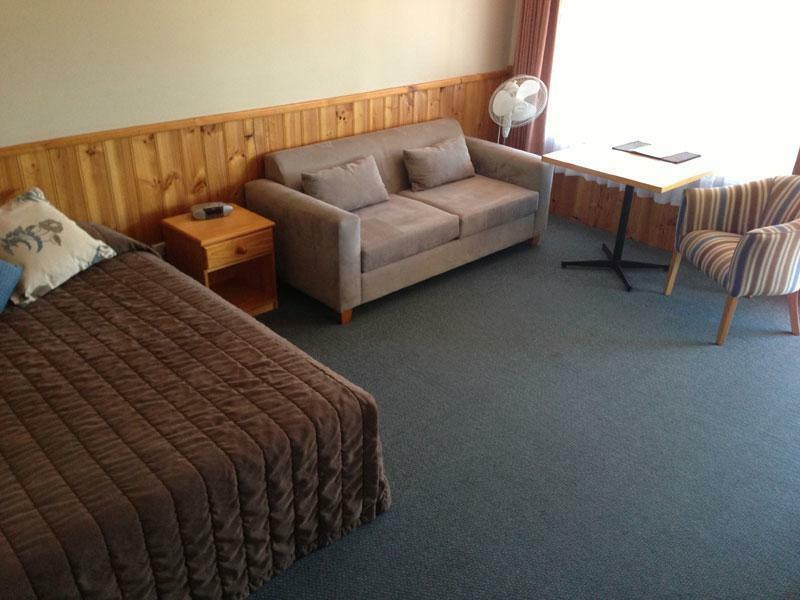 The staff were helpful and friendly, the unit comfortable, well-appointed, clean and spacious. It was in a great location, and a short walk to the Sheffield shopping village. A great stay. 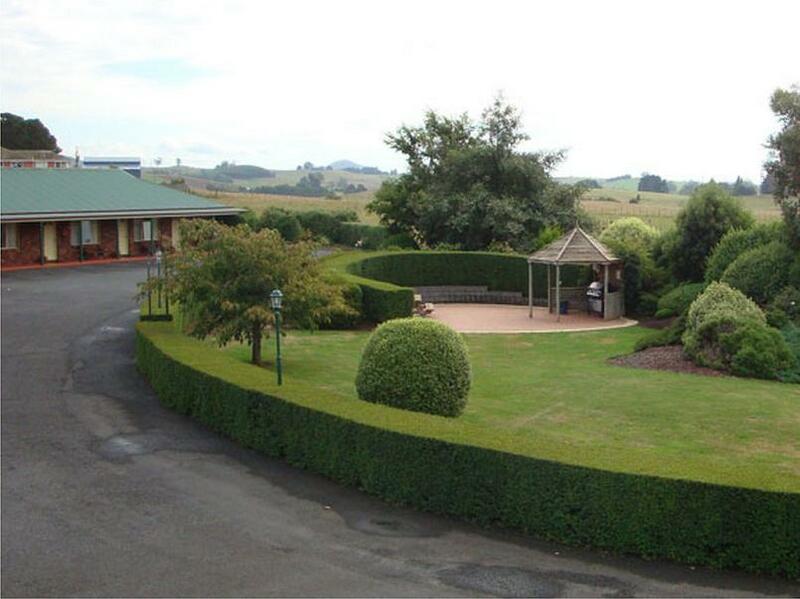 The room was immaculate & the large grounds are immaculately maintained. We did not use it, but there is an inviting & sheltered bbq area. Parking right at the door was very convenient. Estate is spacious, well maintained, quiet and cosy. Surrounded by beautiful scenic environment. We had bbq in the garden which is a nice experience. Very nice staff. Kitchen with microwave oven and kettle. Love it's location and surrounding. 10 mins slow walk u can reach Main Street of Sheffield. accommodation itself is beyond our expeditions, very natural and "green", farms and animals just around the conner. We love those alpacas .. :-) room big enough with cooking facilities if needed. Highly recommend for a stop over to Cradle Mt. 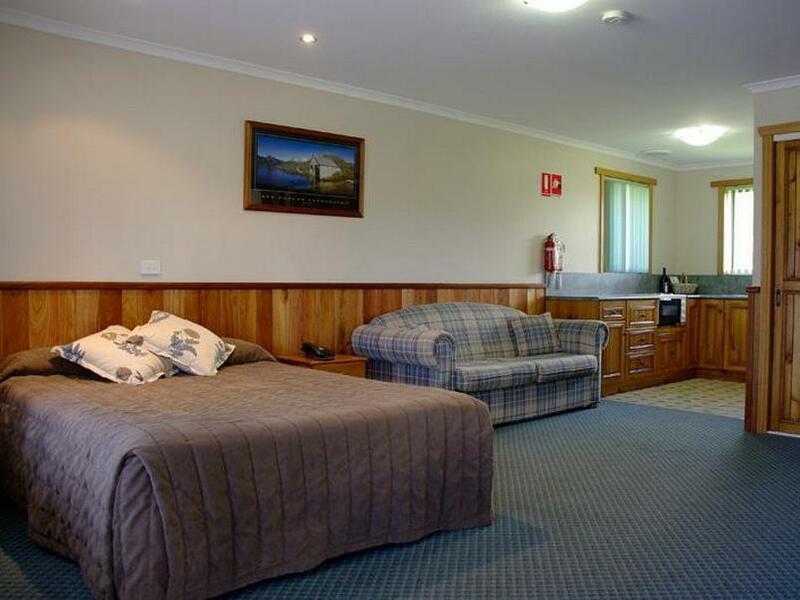 A neat room with beautiful scenery, located at the north-west of TAS, about 1.5h driving time far away from the Cradle Mountain. Helpful staff and beautiful farm view. Thanks! This is a small town, so everything is very close to each other, quite and clean. Except the mattress is a bit too soft for us. not in town,and not in walk distance,but anyway,shefield is too small. It was our first trip to Tassie and to Sheffield - the town of murals. The experience was beyond our expectation and more. We arrived at the retreat just 5 min from the town centre and checkin was a breeze. 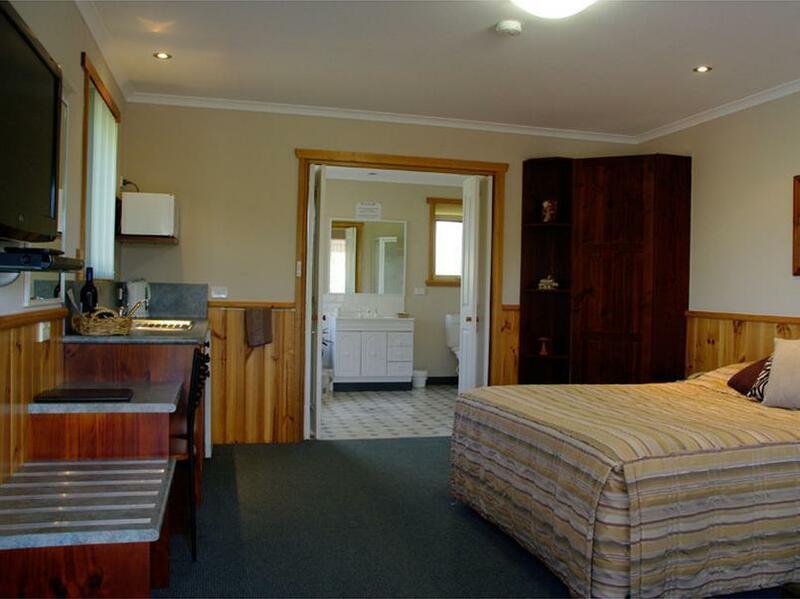 The rooms were big with everything you could be offered in a 5 stars hotel, a tea prep area, a double & single bed, hair dryer & iron with a large TV and DVD player. There were abundance of parking bays in front and what we loved about it was the little farm adjacent to the rooms. We met the sheep and alpaca in early morning with beautiful landscape beyond. It just made our day to start with. Lovely to stay and fantastic location as a retreat to total relaxation. 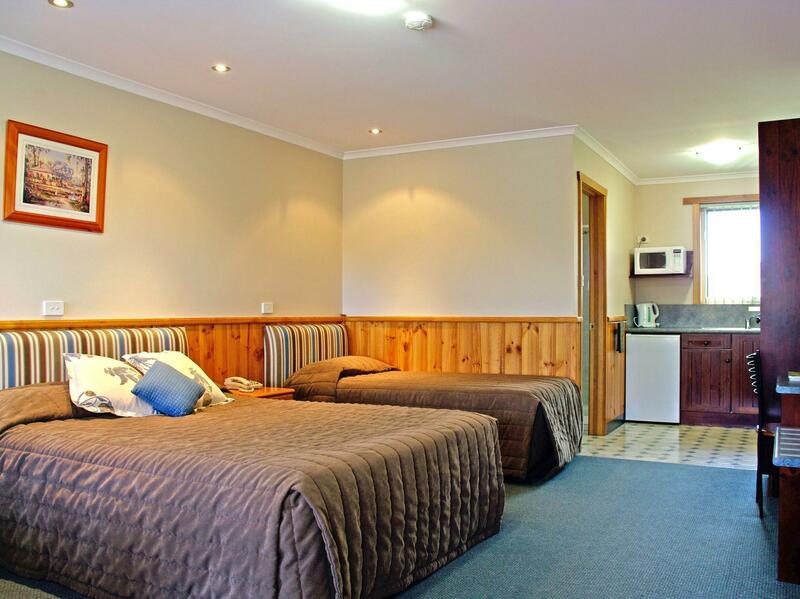 it was a very good one night stay at kentish, superb environement and cozy +well equipped cabin in sheffield, ideal location at reasonable priced stay before heading to cradle mountain. they provide self-service laudry and free use of bbq. you can get food within walkable distance to iga supermarket and a few restuarants. relaxing walkaround to see the murals. will recommend to anyone who is looking for accomdoation in sheffield.